Working on a character portrait for a buddy of mine. I’m going to go through all the stages of my illustration process and eventually I’ll post them all as a walkthrough. For now though, here’s the digital inks. He is five feet tall with a slightly receding hairline, his hair is a light grayish and ever so slightly silver on the sides around his ears. He has a full length beard with tightly woven braids down the sides of his chin. his eyes are black and deeply shrouded in shadow. He wears a ornate artifact for a holy symbol. The implement is diamond shape and has an inscripted jade gem in the center. 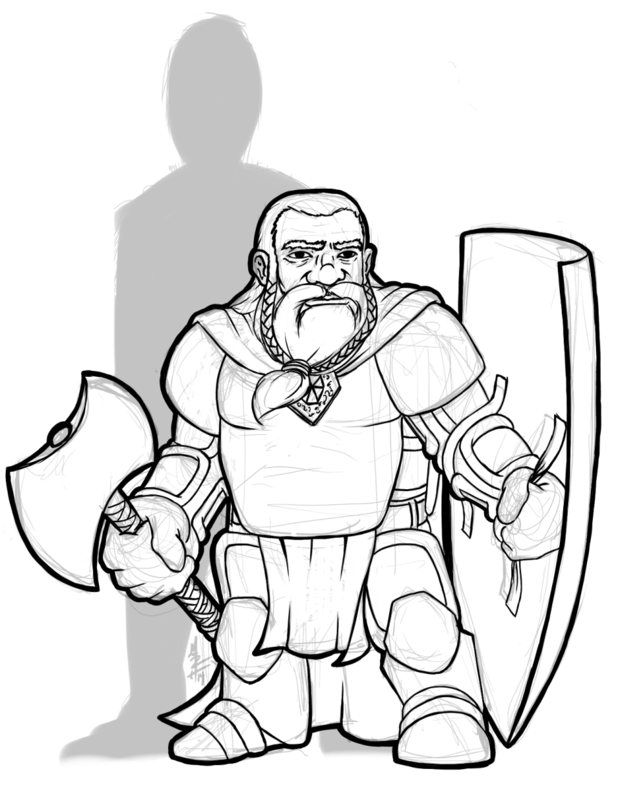 He wears full plate mail armor which hugs quite nicely to his older but still strong physic. In his left arm he carries a full large shield with the same inscription as the holy symbol.